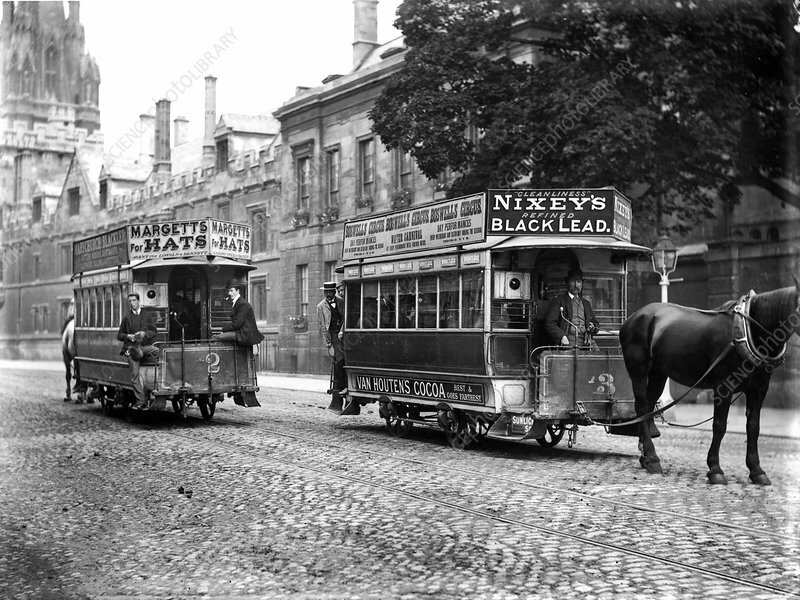 Horse-drawn trams in Oxford, 1900s. Two horse-drawn trams passing on the High Street in Oxford, UK, in the period from 1900 to 1910. Magdalen Bridge was widened in 1899 by the Oxford Local Board to accommodate horse-drawn trams, but by 1913 motor buses had appeared. This photograph is from the collection of Henry W. Taunt.